For many of us here in Florida, emotions from the tragic Pulse Nightclub shooting are still very raw. That catastrophe highlighted the importance of security at a nightclub, restaurant, apartment complex, or any other public place. Sometimes, owners do not provide adequate security and fights get out of control. That’s especially common at bars and nightclubs. Strong security also deters troublemakers from entering the building in the first place. Other times, the consequences of lax security are more indirect. Lax security is essentially an invitation for robbers and other evildoers. Landowners are generally responsible for the economic and noneconomic damages in these cases, as outlined below. Florida law essentially divides victims into three categories. This classification system is rooted in the common law. Most victims are invitees. They responded to the landowner’s express or implied invitation. Moreover, their presence conveys a benefit to the landowner. That benefit could be an actual monetary transaction, a potential transaction (like a vendor or salesman), or an intangible benefit (like a social guest). If the victim is an invitee, the owner had a duty to frequently inspect the premises and ensure that they were reasonably safe. That responsibility is not limited to structural defects. The owner also has a duty to continually reassess security needs and fill these needs straightaway. Some other victims are licensees. These people have implied permission to be on the land but their presence does not benefit the owner. A guest of a hotel guest is probably a licensee. In these situations, the owner has a duty to warn about latent (hidden) defects. A few people are trespassers. Since there is no permission and no benefit, there is usually no duty. There are a couple of exceptions. For example, the attractive nuisance doctrine protects some child trespassers. For liability to attach, the owner must know about the hazardous condition, or in this case, the inadequate security. Sometimes, that knowledge is direct. For example, a Tampa manager might send an email requesting more security for an upcoming event. Or, a bouncer may suddenly quit, leaving the front door under-protected. Circumstantial evidence is also admissible. If there was a security breach at a nearby venue, that event usually puts the owner on notice that there is a potential problem. Lax security in the area also comes into play with regard to foreseeability. The law changed a few years ago. Now, landowners may be liable for foreseeable third-party crimes, like robberies or sexual assaults. Recent security breaches at nearby locations. In addition to obtaining compensation for their own injuries, victim/plaintiffs help prevent further incidents. A lawsuit is a powerful incentive to spend the money necessary to properly protect guests. Most owners have a duty to provide adequate security. 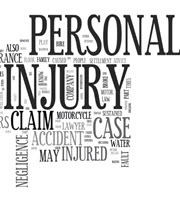 For a free consultation with an experienced personal injury attorney in Tampa, contact The Matassini Law Firm, P.A. After-hours appointments are available.